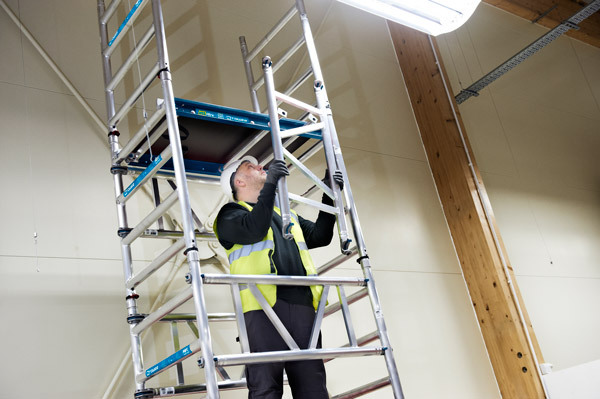 Scaffold Towers are now available to the individual with the versatile MiTower One-Person Quick Build Tower. It takes just one person to assemble and dismantle this new strong, compact and easily transportable tower. MiTower One-Person Quick Build Tower comes self-contained in its own transport and storage pack making it easily fit through standard doorways and into a small van. This high quality EN1004 Class 3 product is tested and approved by TÜV Nord. Click on the video below to see the MiTower in action.